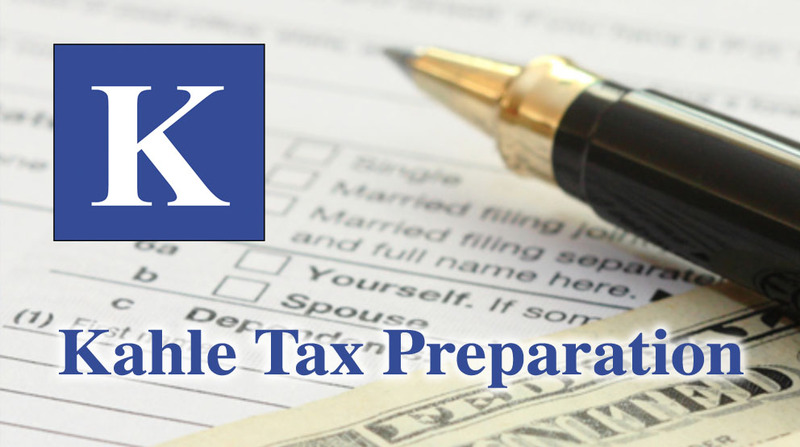 At Kahle & Associates CPA LLC, we guide our clients through a full range of tax planning and preparation decisions with strategies that minimize your tax liabilities, maximize your cash flow and keep you on track to your financial goals. Our tax preparation expertise, experience, analysis and thorough research allow us to optimize financial opportunities to be found in existing as well as recently altered tax laws. We are knowledgeable and up to date on the tax laws and can make sense of your receipts, bills and notices. We will look for every deduction you are allowed under current tax laws. We stay current with ever changing tax laws with continuing education. We are highly qualified to handle all types of income tax returns including: personal tax, sole proprietor tax, corporate tax, partnership tax, trust tax, non-profit tax and all state tax and local tax returns. We do personal income tax preparation for the standard 1040 Series including Sole Proprietorship and Partnerships. Bring us your W2s and 1099s and we will do our best, and minimize what your business owes for taxes. If you don’t think you’re going to be able to file by the tax deadline, give us a call and we’ll help you file an extension to prevent the IRS from assessing fines and interest for non-compliance. Our advice to clients is – just like you don’t sign important legal papers without a lawyer, similarly, don’t make large financial transactions without reviewing the tax implications with one our Certified Tax Preparers. We know the information needed to maximize your tax refund or minimize what tax amount you owe. Get all the deductions you deserve. We’ll even look at last year’s return. Get the peace of mind that comes with a professionally prepared tax return. We will save you the time and reduce frustration. All returns are prepared and submitted by a tax professional. Open all year to answer your questions. Our office are open year round to help you. 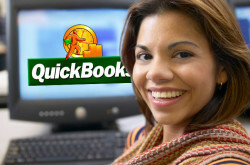 We provide small businesses with bookkeeping/payroll services during the year. If you are thinking of starting a business, we can help with the startup process. Many tax preparation offices add seasonal and part-time help, and require only minimal training to get the job done. Some set up kiosks in the big box stores. You will likely never see those people again. 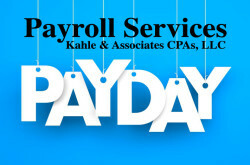 Our office is staffed by accounting professionals who make tax preparation their career. Kahle and Associates will be here when you call with tax questions. Kahle and Associates will be here if you need tax advice. 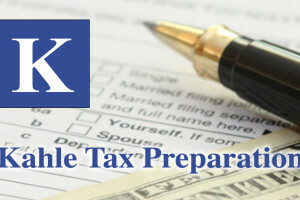 Kahle and Associates will be here when you need help understanding a new tax law. Very thorough, very professional. I believe my accounts are in very good hands with Scott and his team.